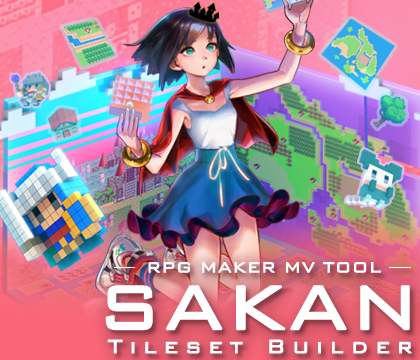 SAKAN: Tileset Builder| RPG Maker | Create Your Own Game! 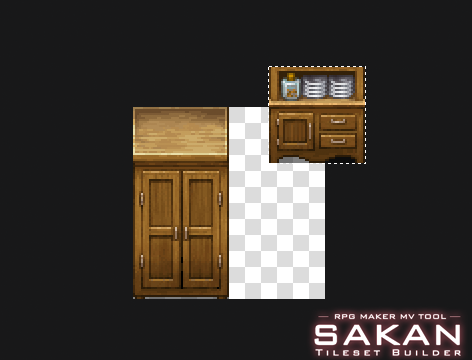 SAKAN is built to let you create tilesets ready to use in RPG Maker MV. Using the thousand+ parts delivered with SAKAN, you can customize the tileset delivered with MV, or build your own original one, all without having to do any pixel art. If you prefer you can indeed use the pen and draw your own pixel art, or build up animations too. Furnitures, food, buttons and gear are only the start of the huge variety of parts SAKAN puts at your disposition to make tiles. Adding to that a stamp feature, and color setting and you can make an infinite variety of tiles without having to resort to dot painting.This allow you to create tiles that lets you go around MV limits of 4 layers per tile, and really customize you scenery as much as you want on the fly.